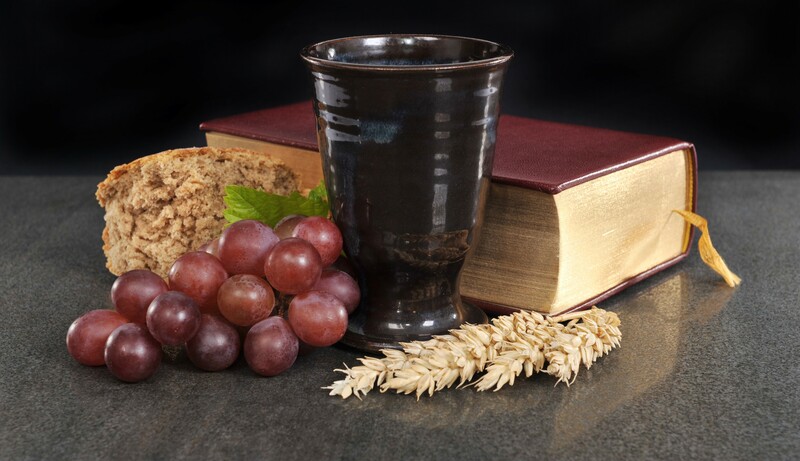 In the Christian faith, the Messwein (also Altarwein) plays a central role in the not only symbolic to understand the change of bread and wine in Christ 's flesh and blood (transubstantiation), which is the first supper in the New Testament Bible declining. Therefore, wine has always played an important role in the Catholic Church and has been (and is) motivated to, especially with regard to viticulture and wine winemaking to try. In Europe, especially the three monastic orders of the Benedictine. Carthusians and Cistercian acquired great merit. In the conquest of the New world By Spanish and Portuguese conquistadors from the beginning of the 16th century, the planting of brought vines and the production of Messwein was also the beginning and impetus of viticulture culture in North and South America. The monastic orders of the Franciscans played in California and the Jesuits in Peru a significant role. As part of the Reformation sat first Johann Hus (1369-1415), as well as Martin Luther (1483-1546) and Johann Calvin (1509-1564) vehemently advocate returning to their Christian origins. Likewise, the reformers demanded wine (and not grape juice or other drinks) and do not mix the wine with water. In this regard, it came to the so-called "liquororistischen dispute" within the church (see under Eucharist ). This custom then prevailed in all Reformation churches, while in the Roman Catholic Church, the wine was still granted only to the priest. After the Second Vatican Council (1962-1965) the Messwein was here again for the laity (only) on special occasions and at individual fairs again. The nature of Messwein is in Roman Catholic Canon Law under the Canon 924 §3 kept scarce and far less regulated than one might think: "Vinum debet esse naturale de genimine vitis et non corruptum " (the wine must naturrein and be obtained from grapes and must not be spoiled). The default "pure natural" (natural) also included a former filtration and stabilization off. This has been abandoned for good reasons, that is, it is a protein stabilization common. The only concrete requirement is that no enrich (Addition of sugar to the grape must in order to increase alcohol) may take place. It is not alcohol content required. Until about the middle of the 15th century, only red wine was used, as it suited well to symbolize the blood of Christ. Pope Sixtus IV (1414-1484) allowed 1478 for the first time white wine. Today everyone can quality wine be used. Messwein can be white or red, dry to sweet and also different in type Still wine. Dessert wine or sparkling wine his. But it is mostly white wine taken. Red wine is unpopular for practical reasons, as any stains on altar cloth or chasuble would be easily visible. In August 2014, the German bishops revoked the Messweinverordnung from 1976. The reason given was that German wine law ensures good wine quality and largely prohibits the admixture of foreign substances. Also, a special approval of special Meßweinlieferanten is not necessary. At the Holy Mass it must be ensured that only wines are used that meet at least the requirements of a quality wine and so the dignity of the sacrament will be satisfied. Around wine adulteration To exclude, it was previously the rule in many countries, that Messwein must be obtained from specially sworn manufacturers, if the natural process of production could not be personally ensured by inspection. This regulation no longer exists today, although many producers still adorn themselves today with the title of "certified wine supplier". As a matter of habit, however, many parishes continue to buy from the long-established Messwein manufacturer. A wine called "Messwein" may be offered for the pastors of the diocese, but also for free sale. From customary law results that continue Sweet wines may be used which do not conform to the above-mentioned quality characteristics. Sweet wines used to be popular because they are more durable. The cute Vinsanto from the Greek Aegean island Santorini was once the measuring wine of the Russian Orthodox Church and a major export article. The Greek Orthodox Church still likes to use sweets today Samos from Greece. In Italy often becomes one Vin Santo (Holy wine) used as a measuring wine. Also other special wines like for example Madeira. port wine and sherry are allowed. In the United States For example, in some states a measuring sparkling wine is also produced. Wine also plays an important role in Judaism in religious rituals. For the production of kosher wine But there are much stricter regulations than for the Messwein. This page was last modified at 30 March 2019 at 08:19.